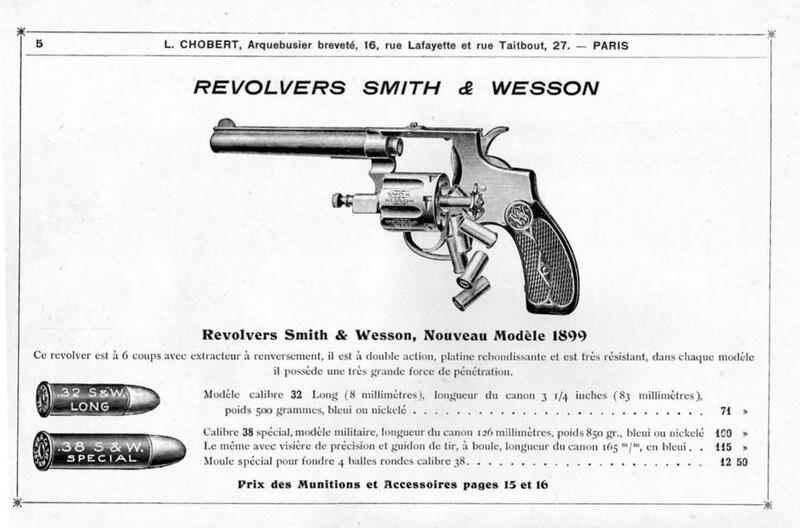 Manufacturers: Ets CHOBERT in St-Etienne and MECANICARM. 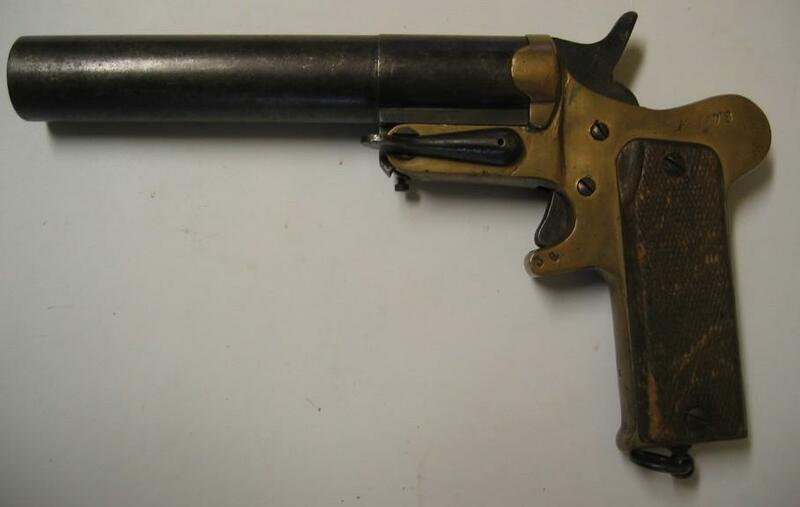 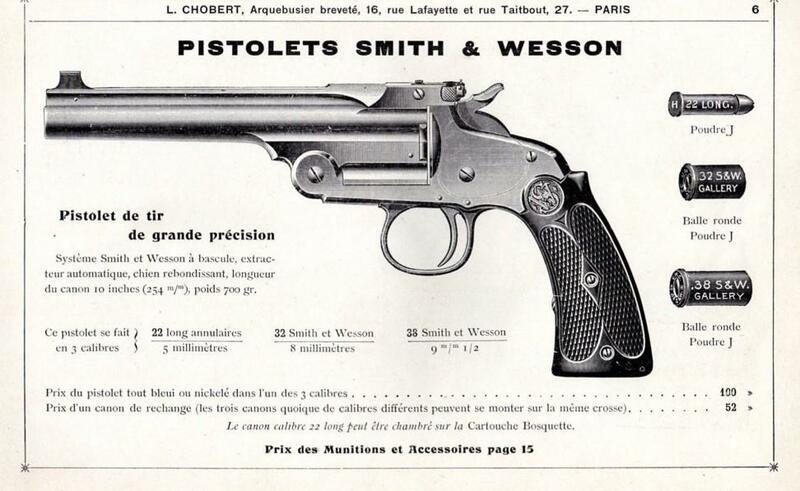 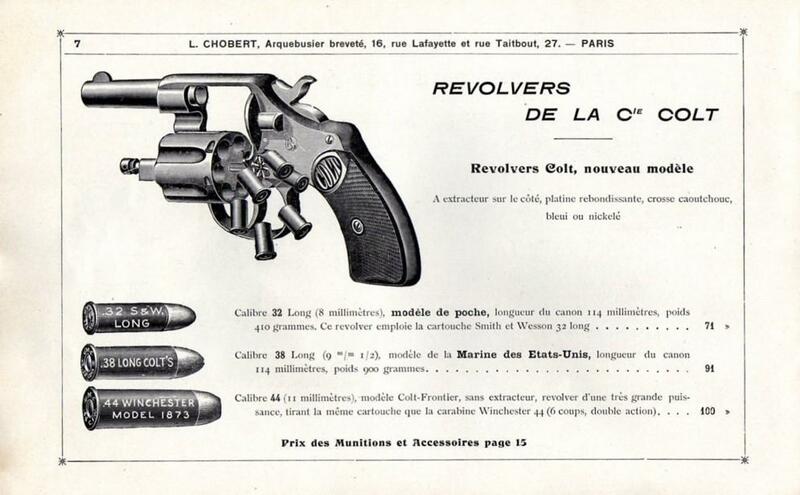 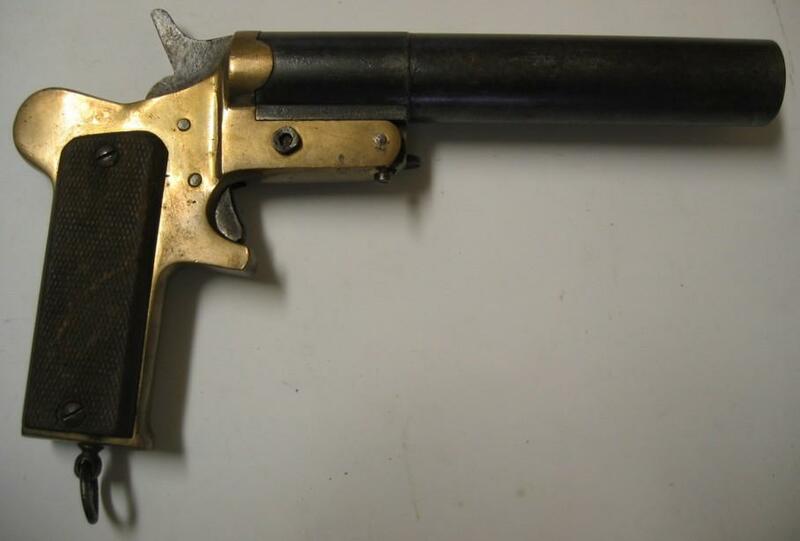 FRENCH Model 1892 Ordnance revolver (8mm Lebel), a commercial example mfg. 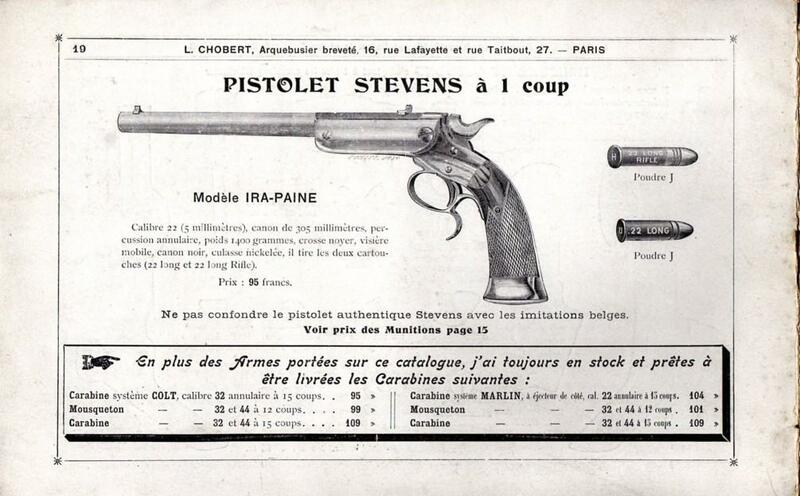 by St. Etienne in c.1910, with address of L. CHOBERT ARQr, 16 Rue Lafayette, Paris on top of barrel. 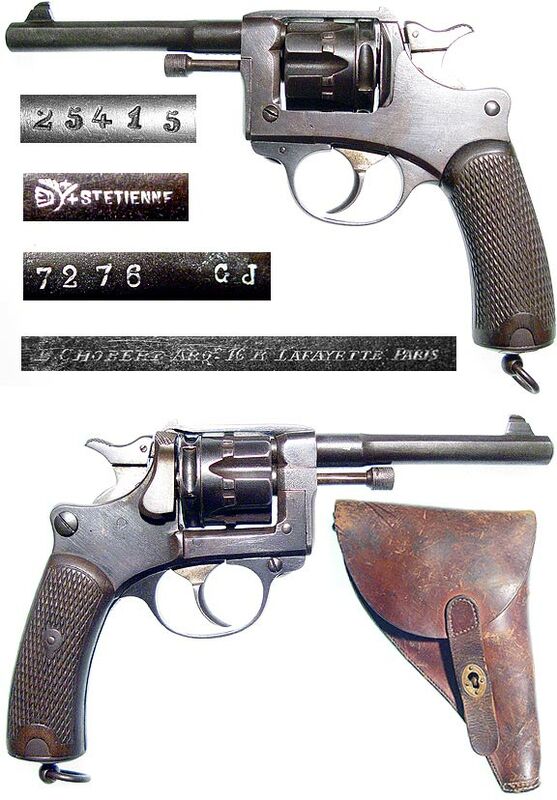 7276 CJ stamped beneath barrel, 25415 stamped on front of cylinder and bottom of barrel-shank. 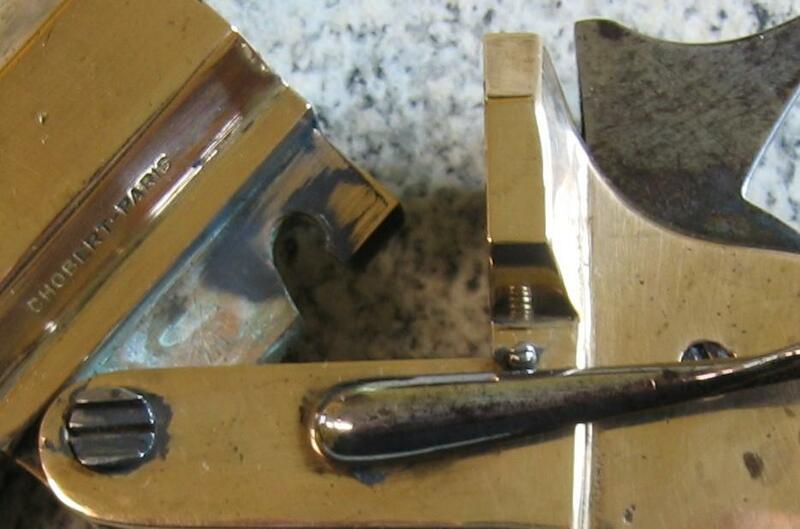 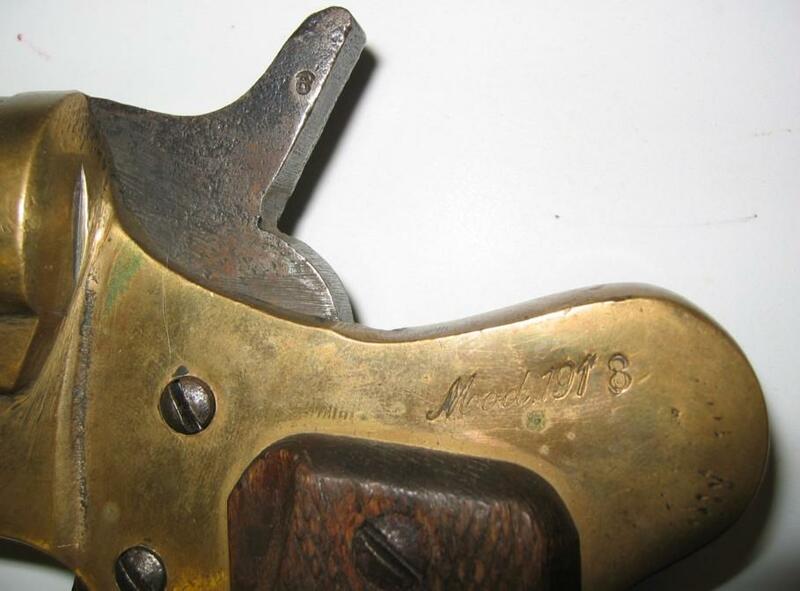 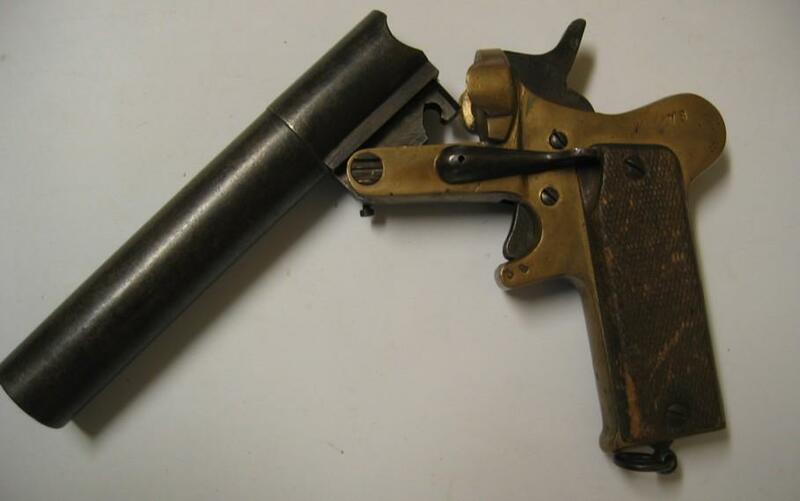 It is here about the model 1917 with barrel runs entirely out of bronze (the model with long barrel has steel barrel) model 18 is very different with a square handle, a little like an automatic pistol. 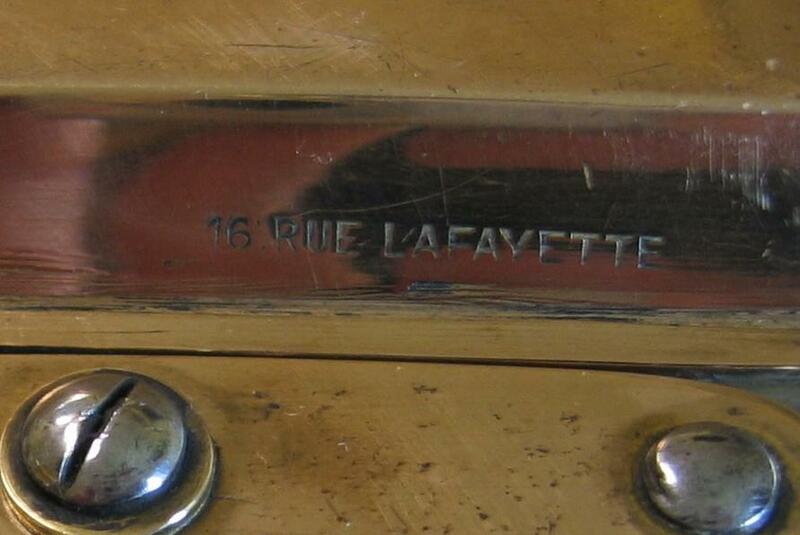 This specimen is in gauge “25”, manufacture CHOBERT-PARIS 16 RUE LAFAYETTE N° 12867 DEPOSE. 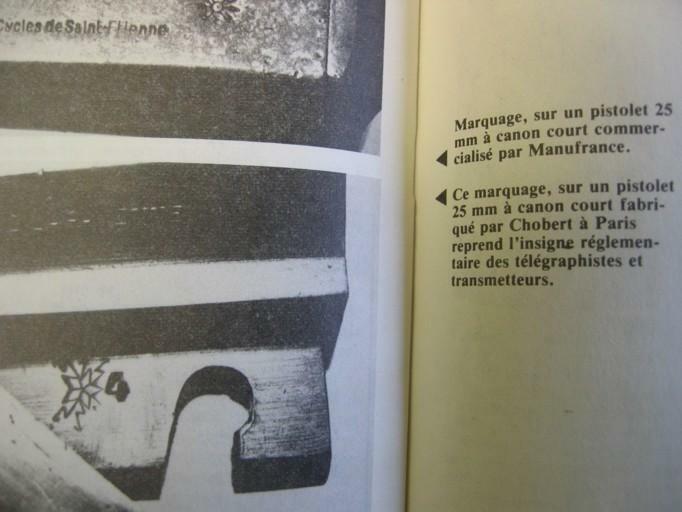 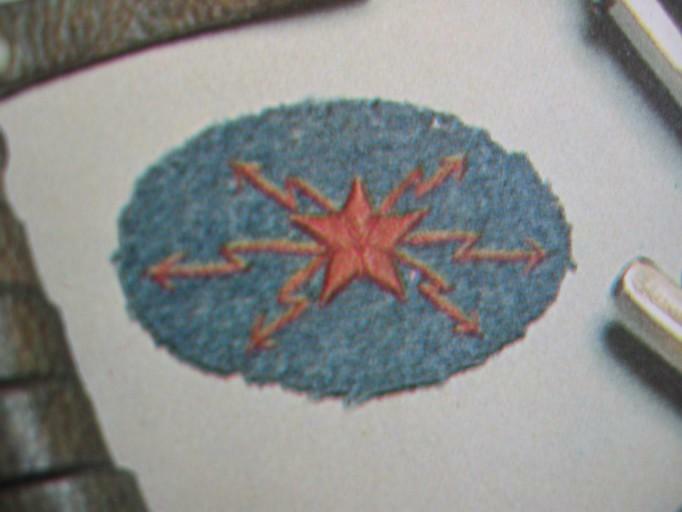 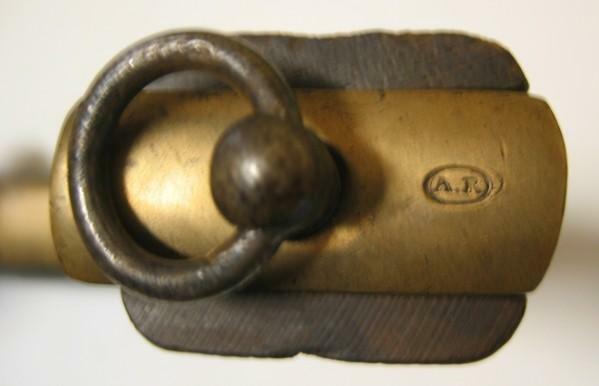 I found the significance of the beam of flashes: It is the French lawful badge of the telegraphists and transmitters, I join also this badge to you!